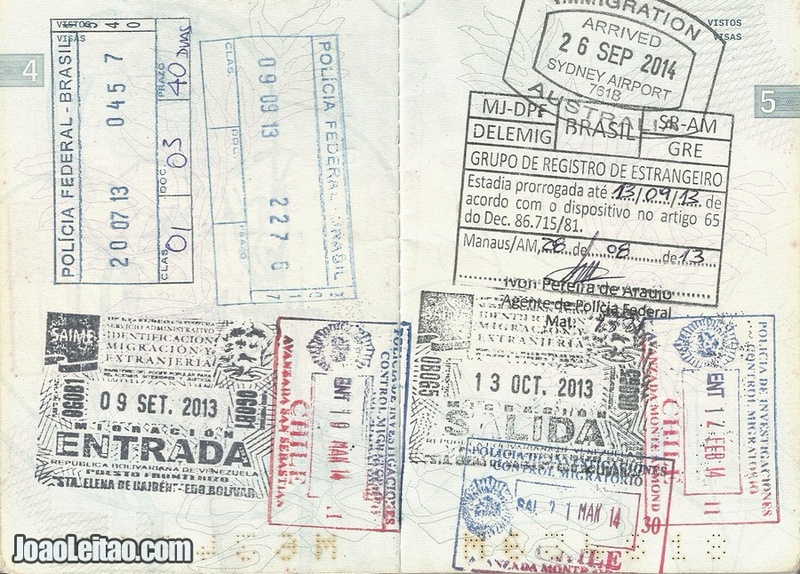 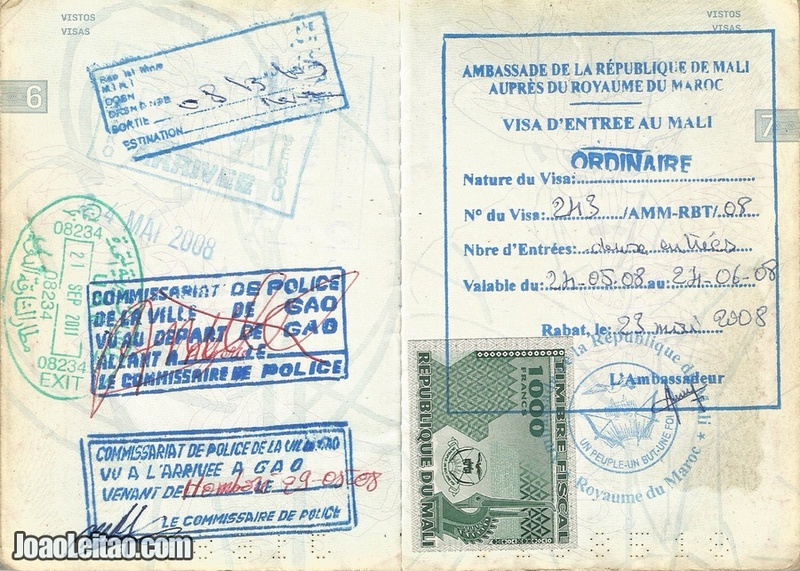 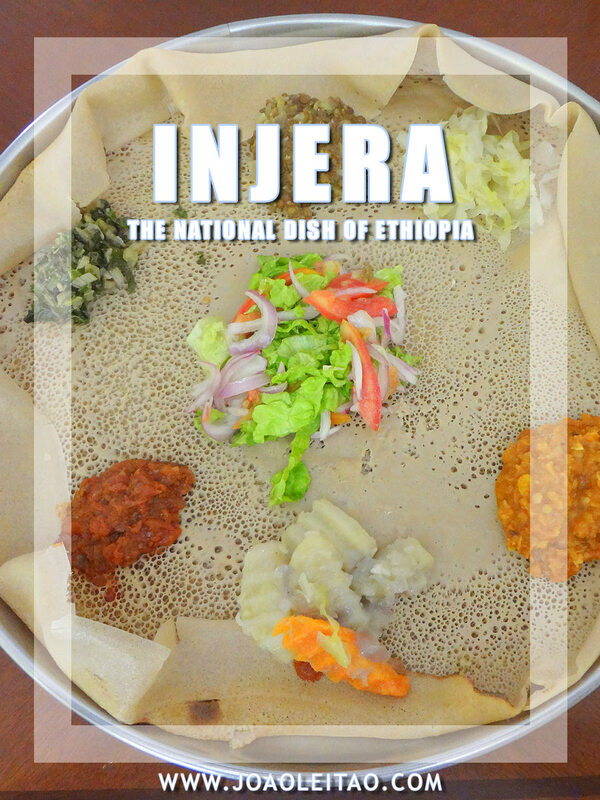 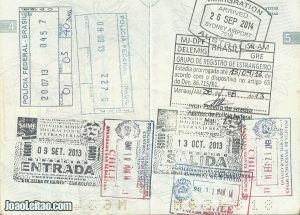 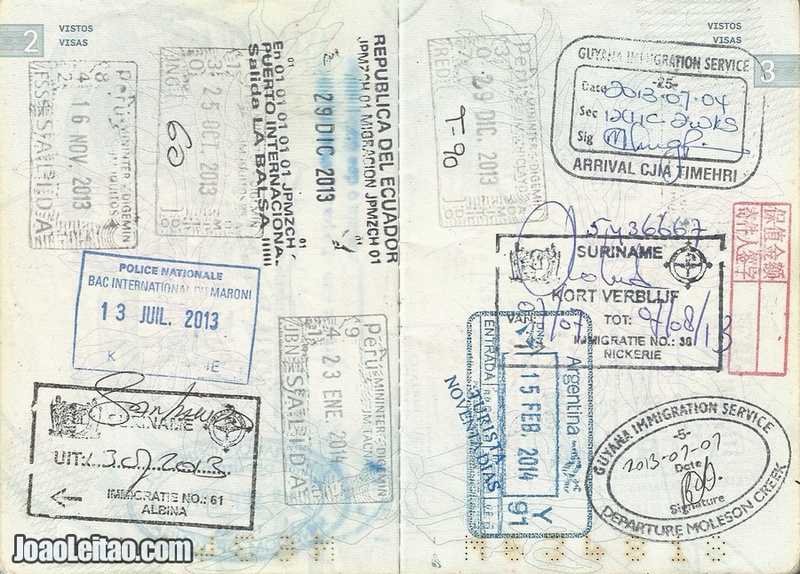 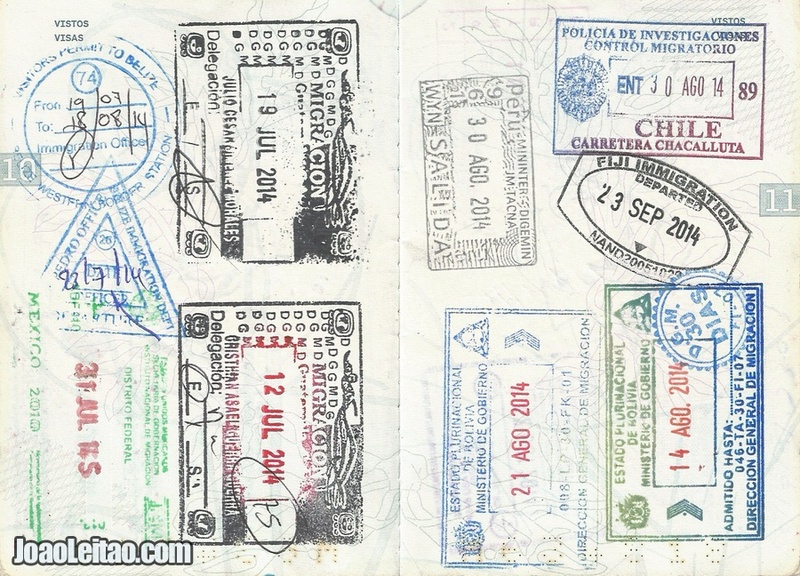 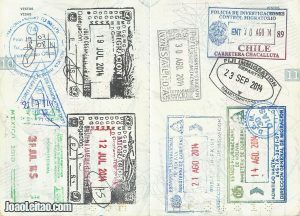 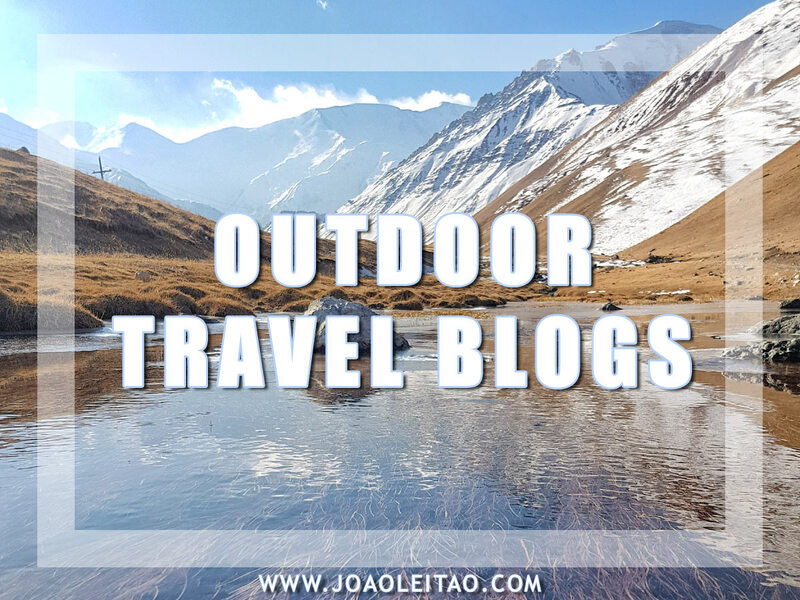 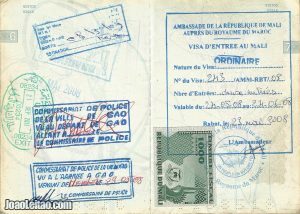 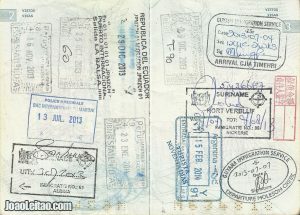 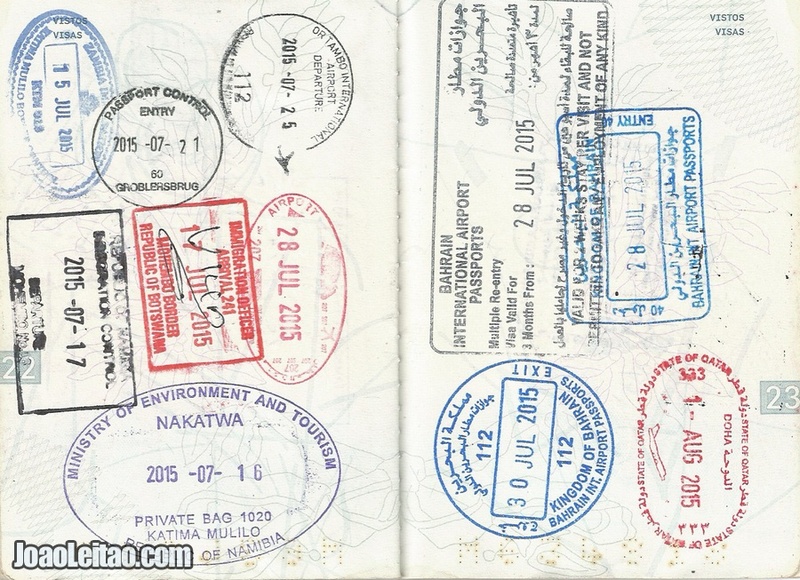 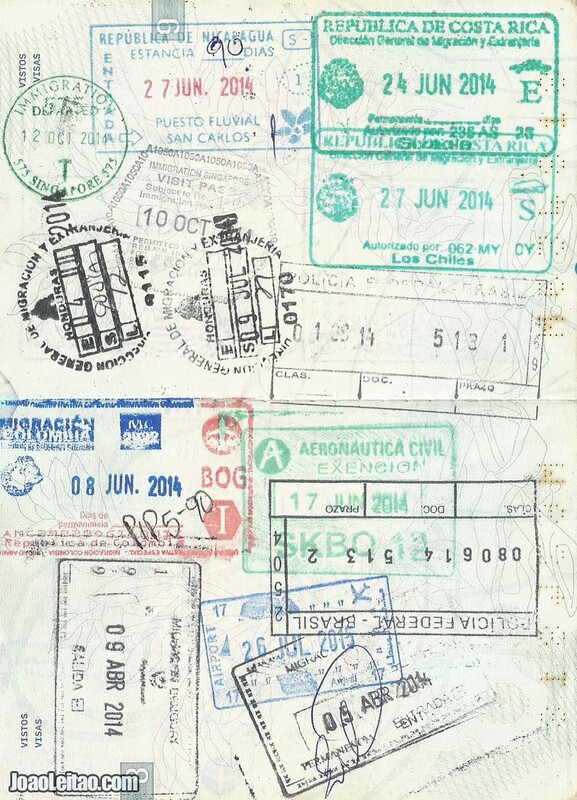 Visas and passport stamps come in all shapes and colors. 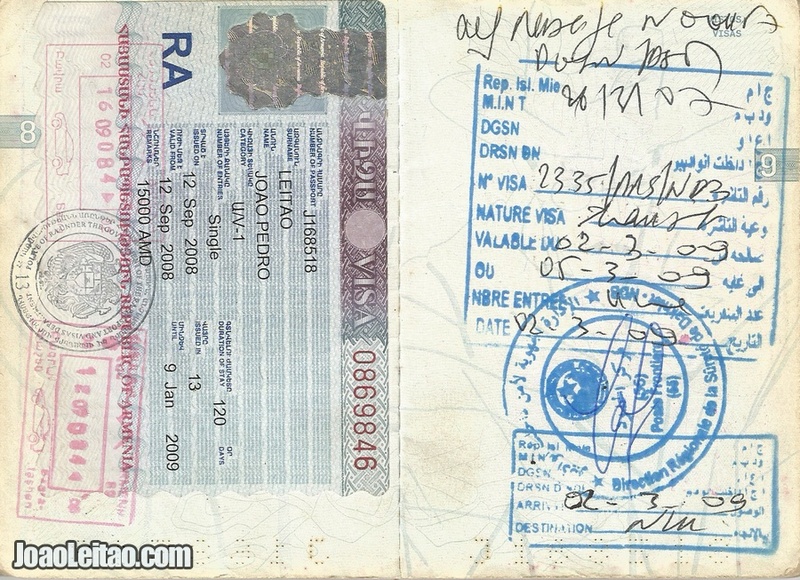 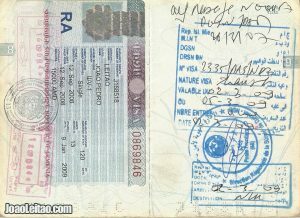 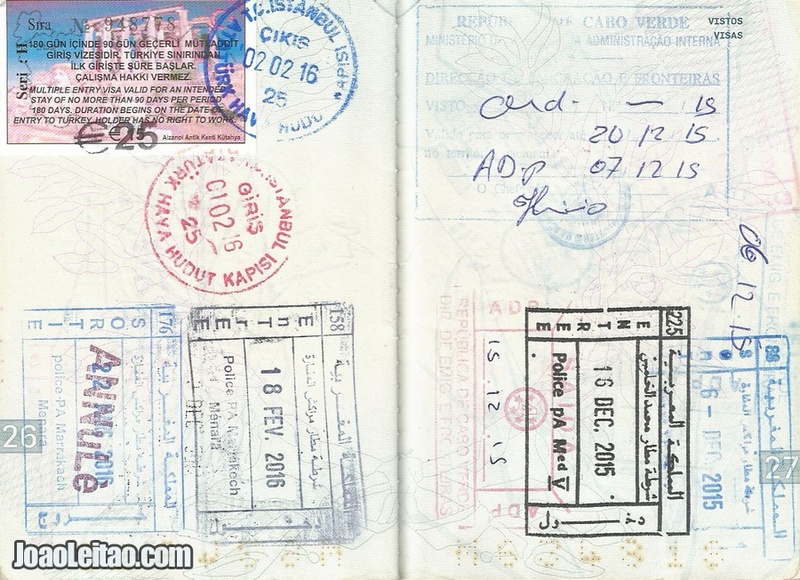 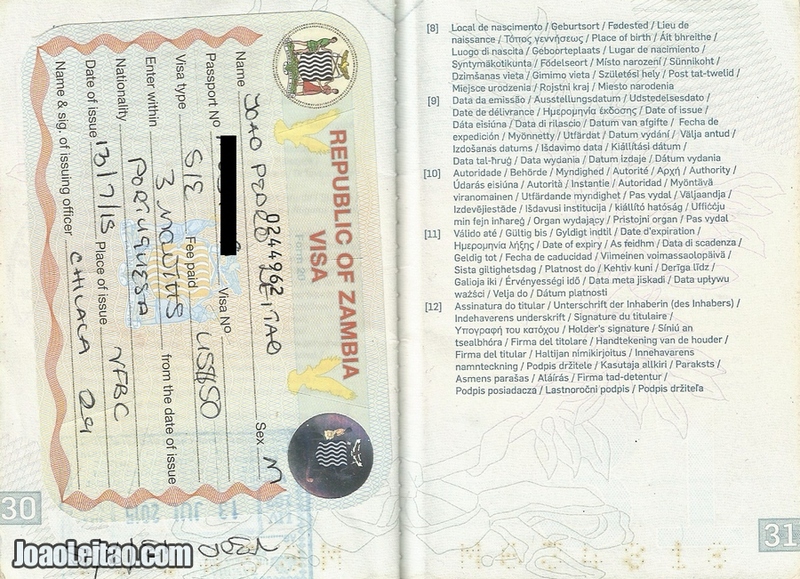 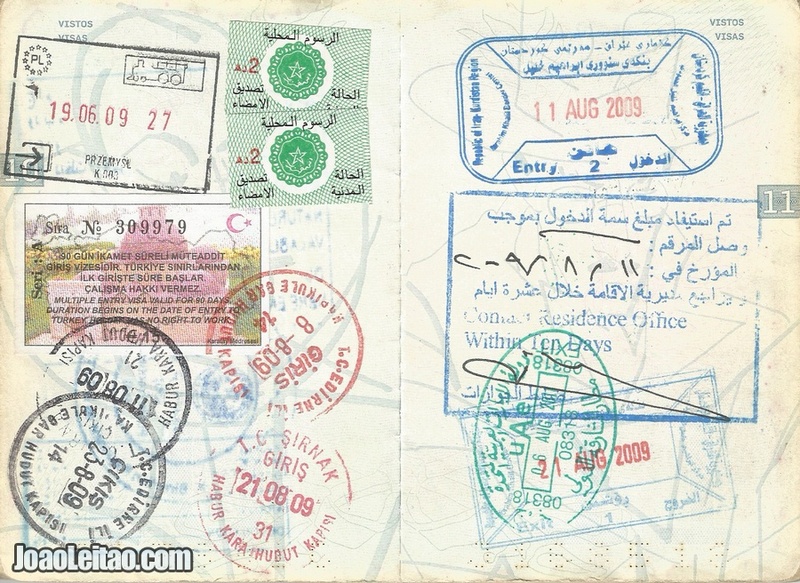 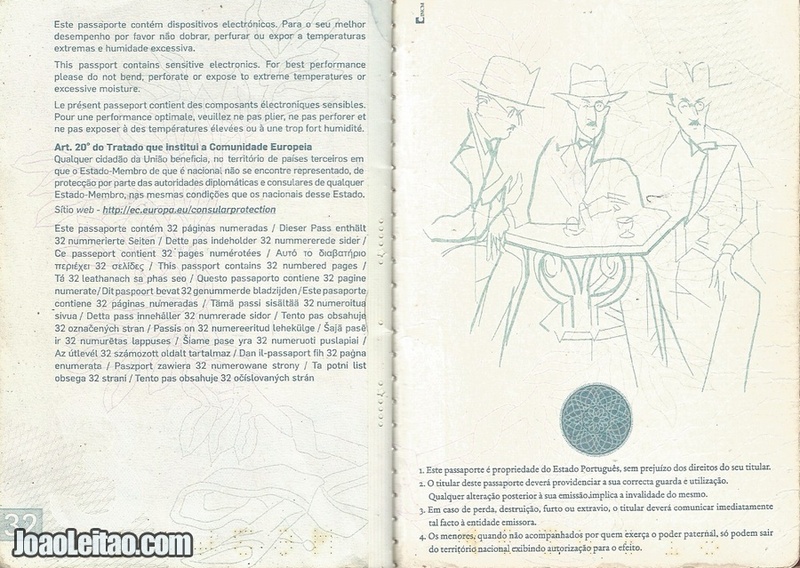 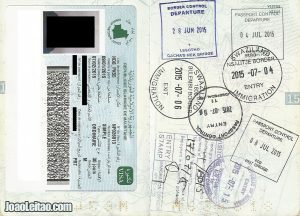 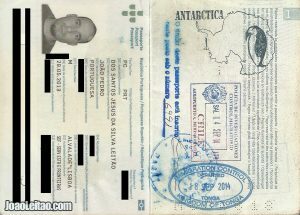 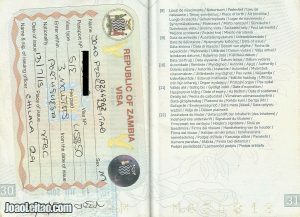 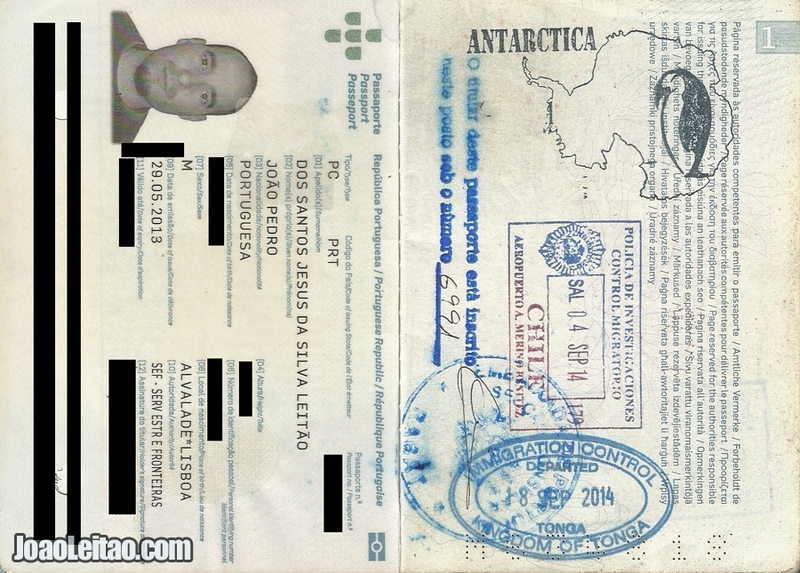 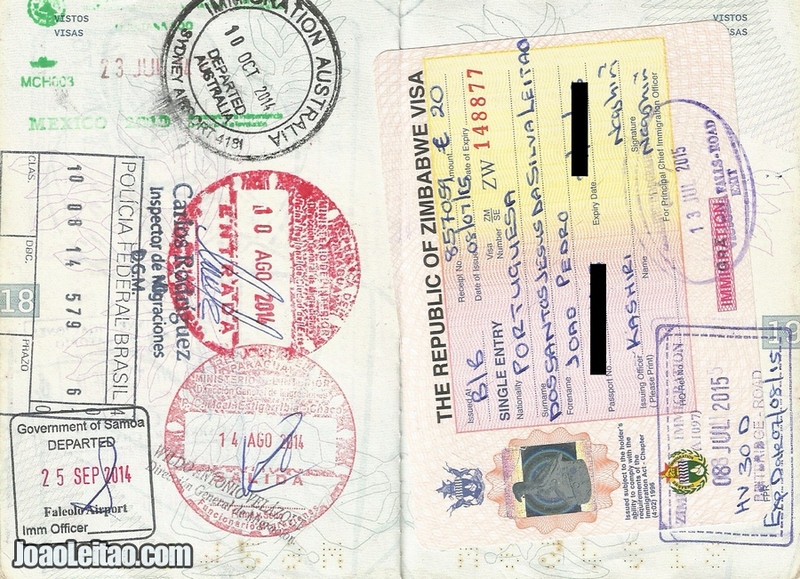 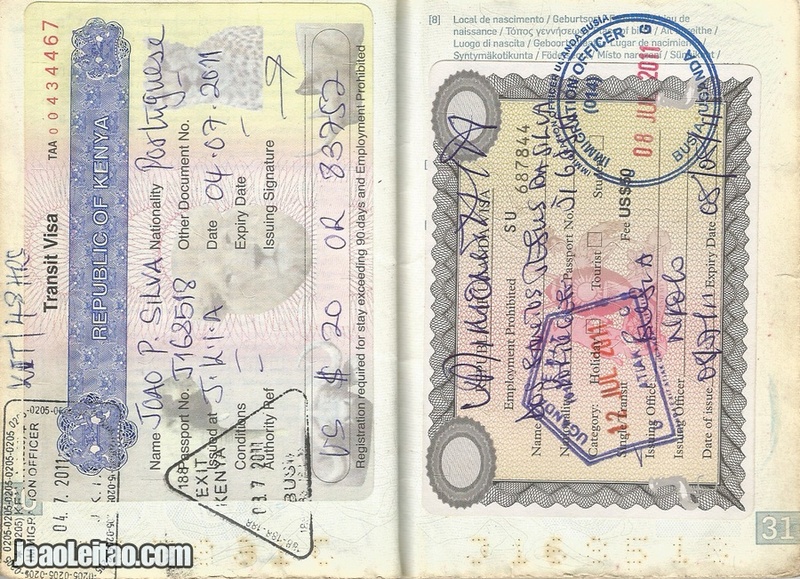 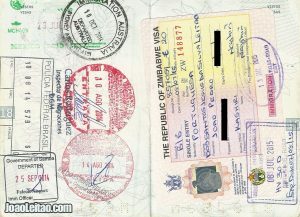 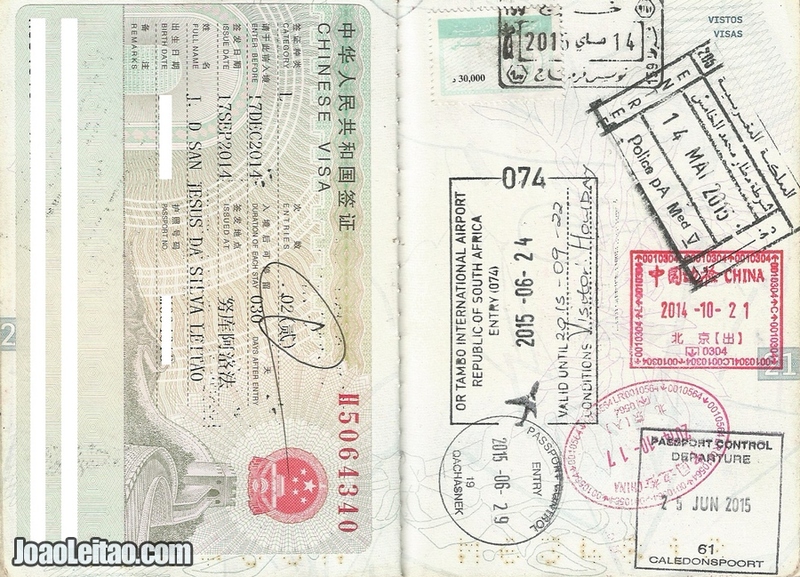 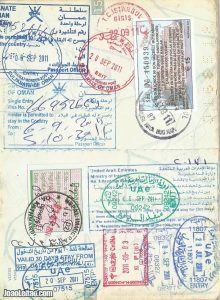 There are larger visas, smaller visas, decorated visas and text only visas. 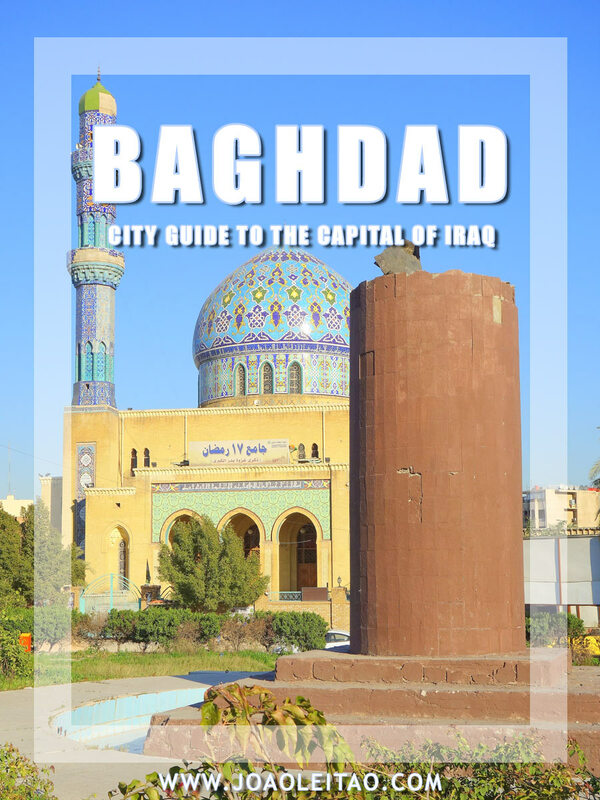 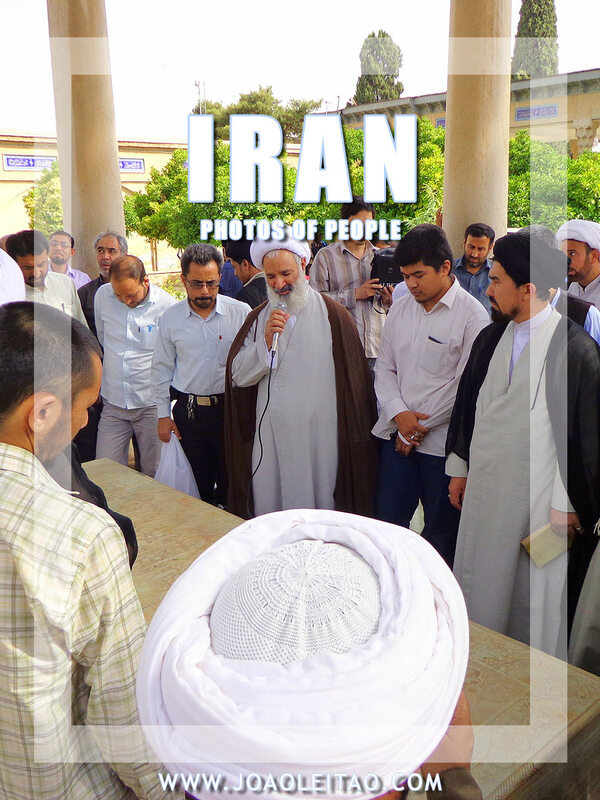 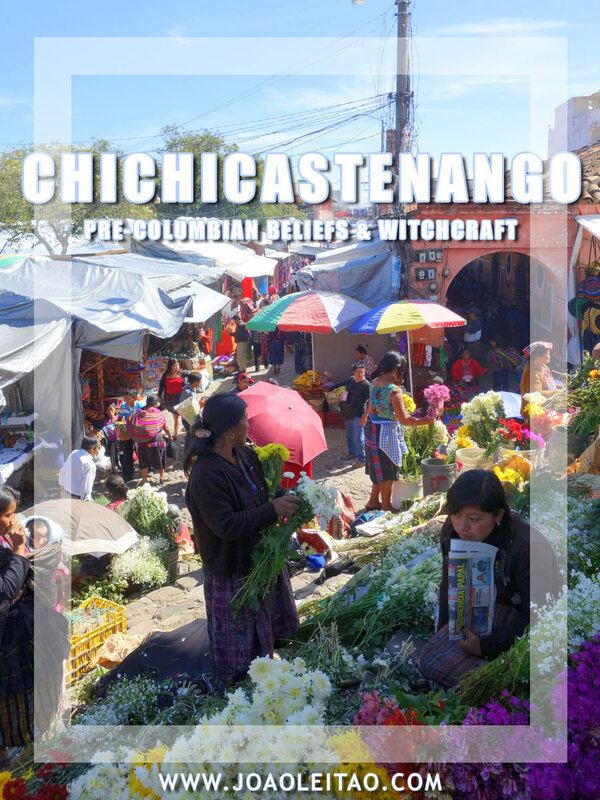 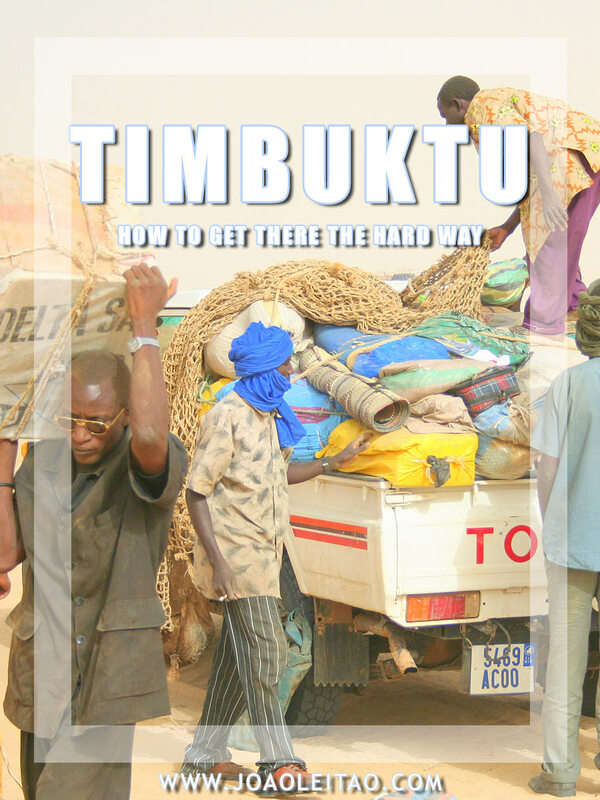 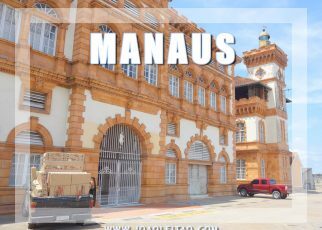 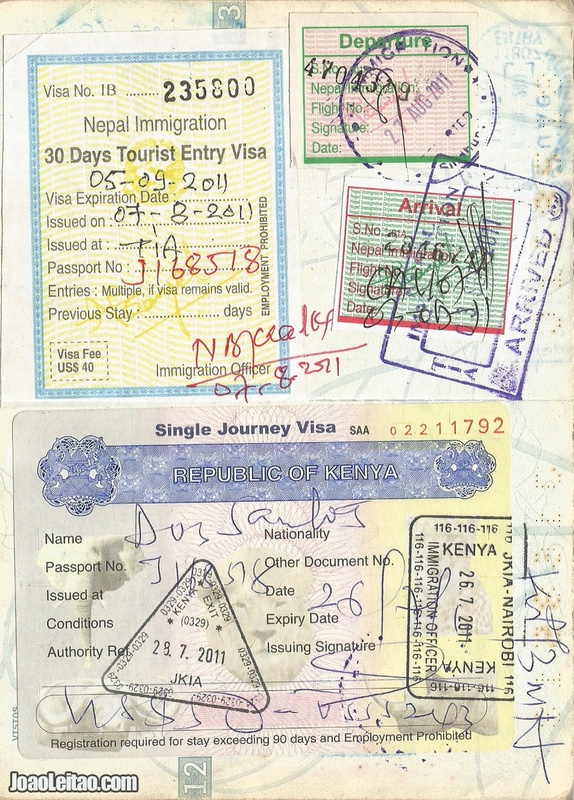 Some are purchased at the border and called Visa on Arrival (VOA), while others have to be previously requested at an embassy. 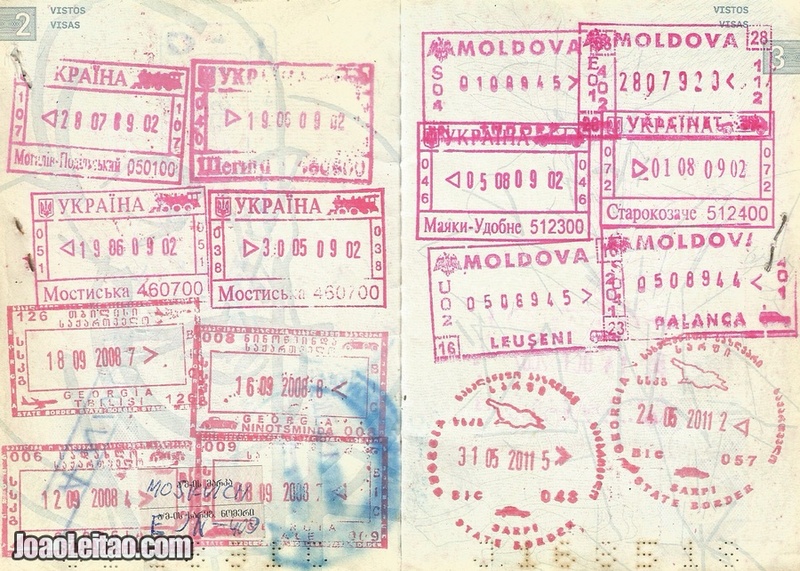 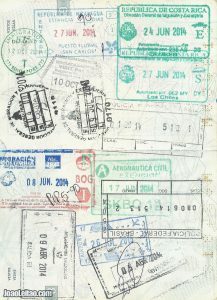 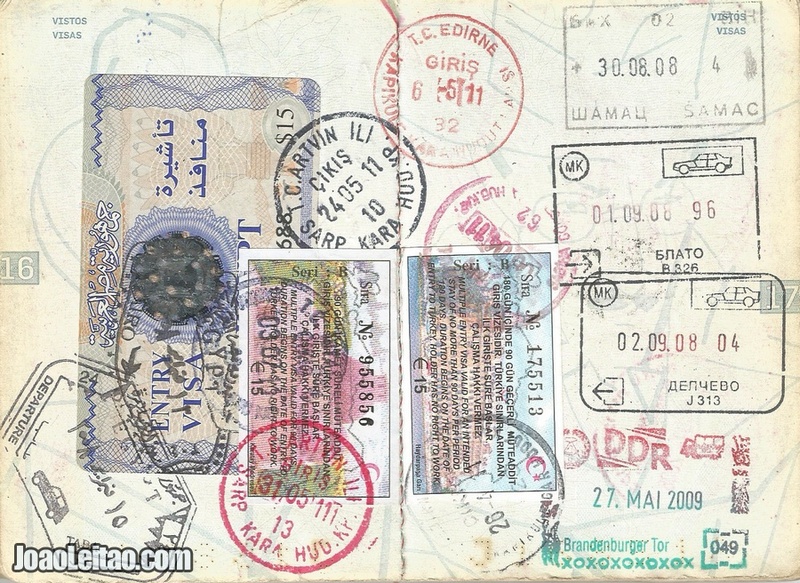 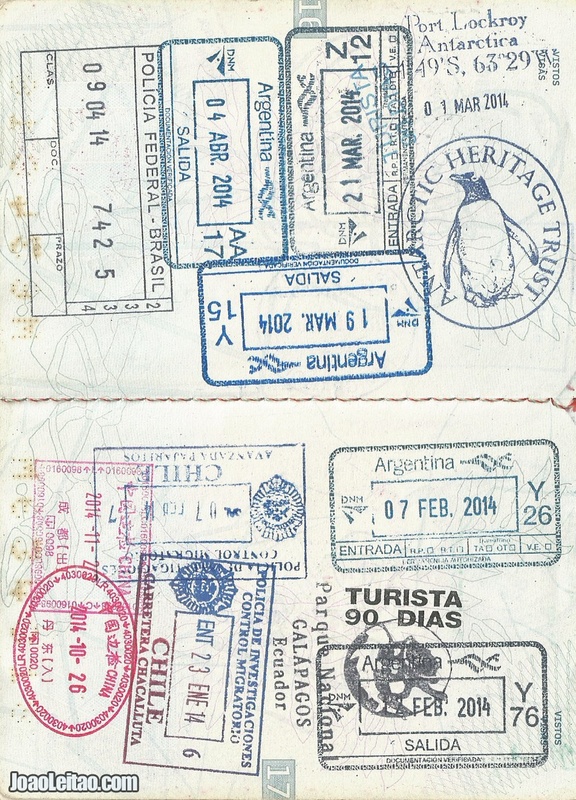 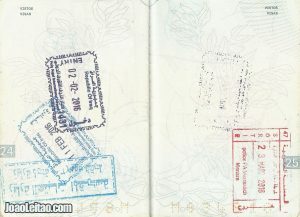 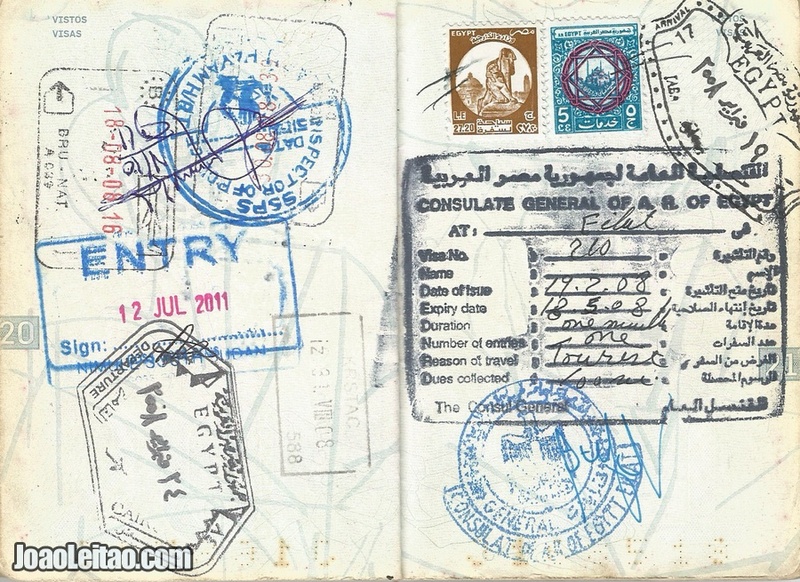 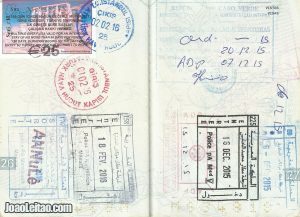 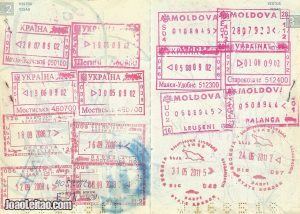 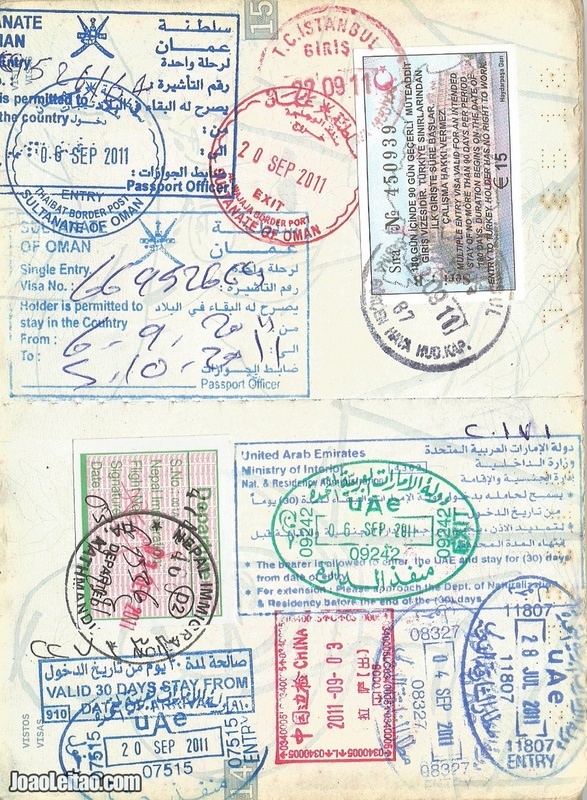 Some entry or exit stamps are blue, others red and some colored in pink. 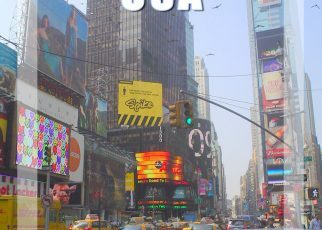 Some are beautiful, others less appealing and some even blurred. 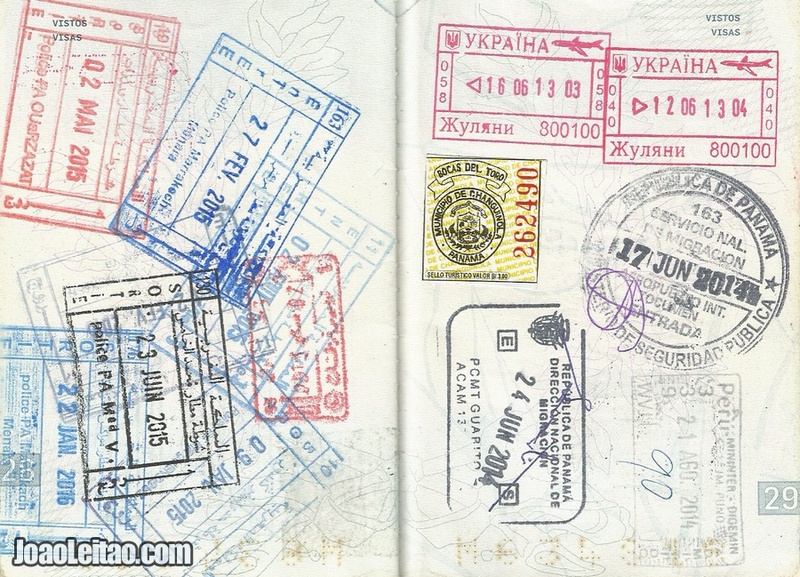 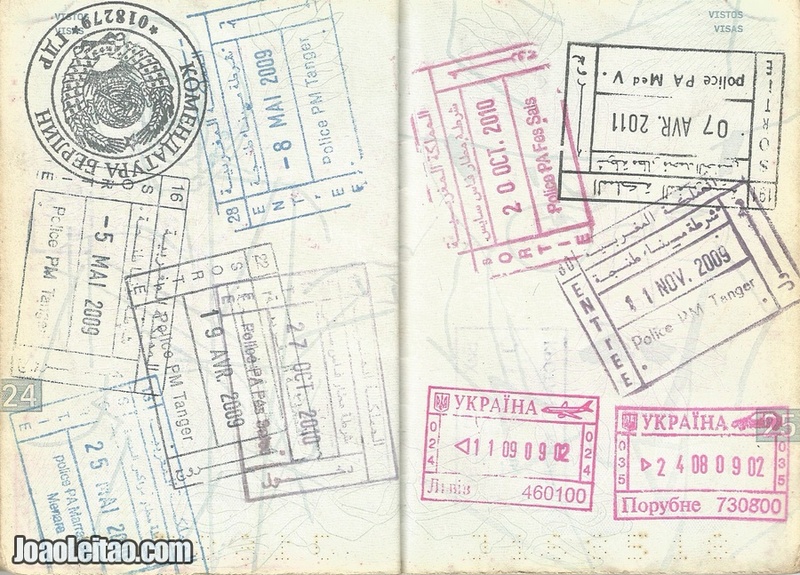 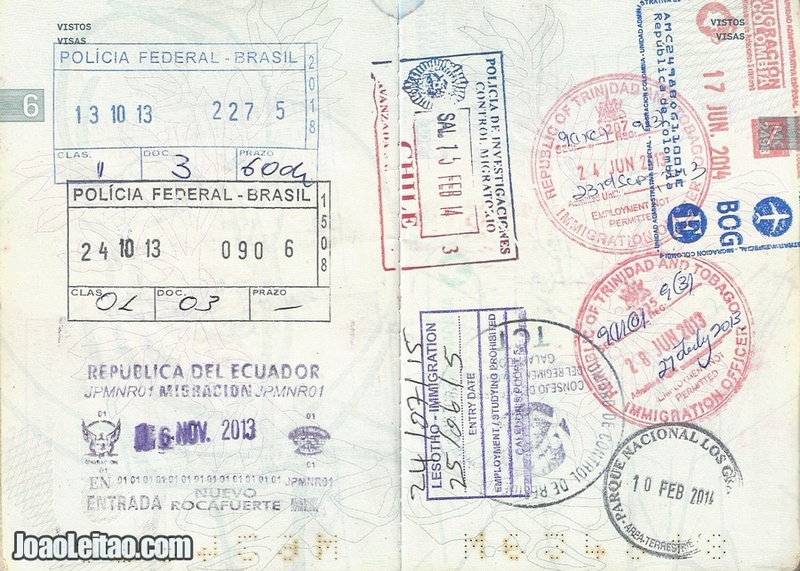 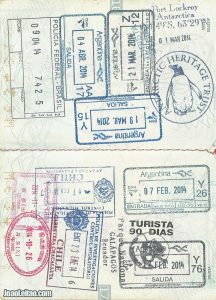 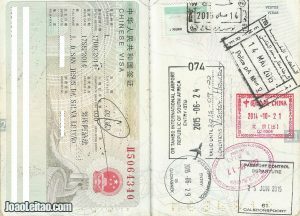 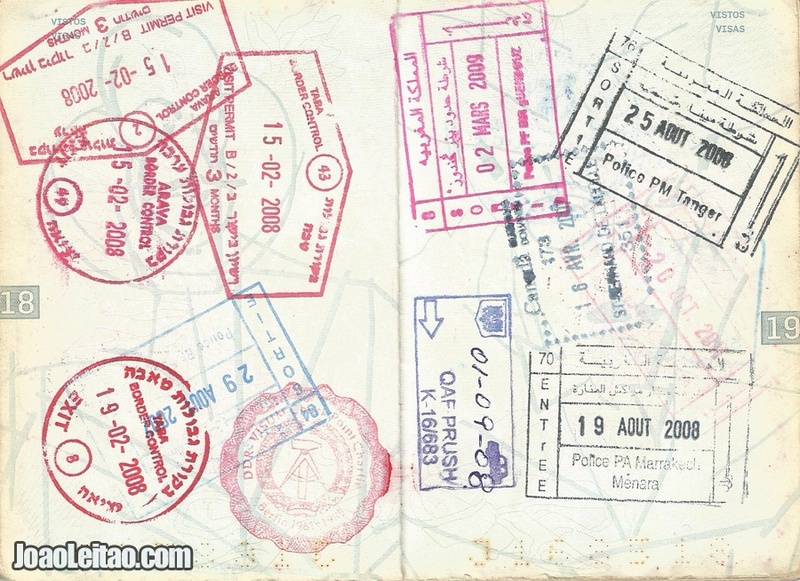 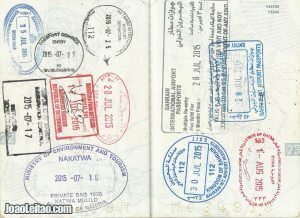 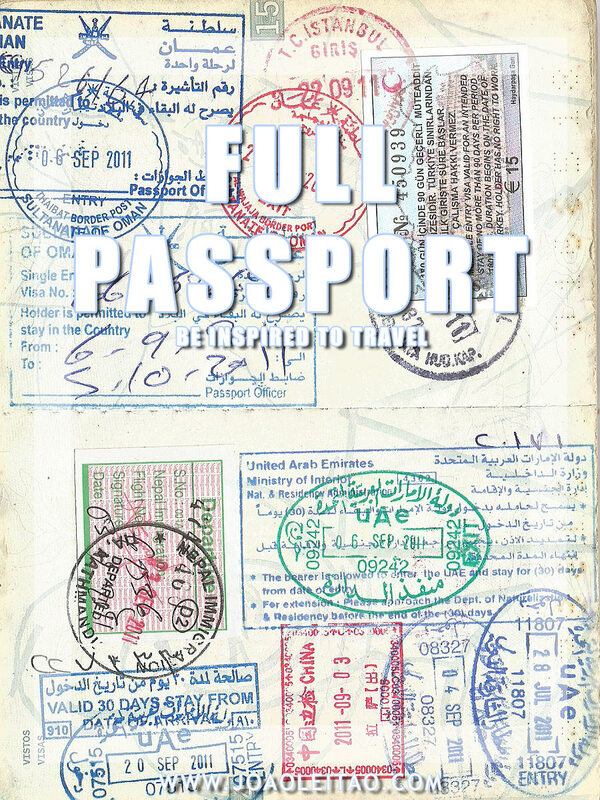 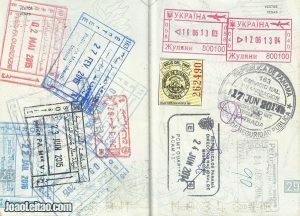 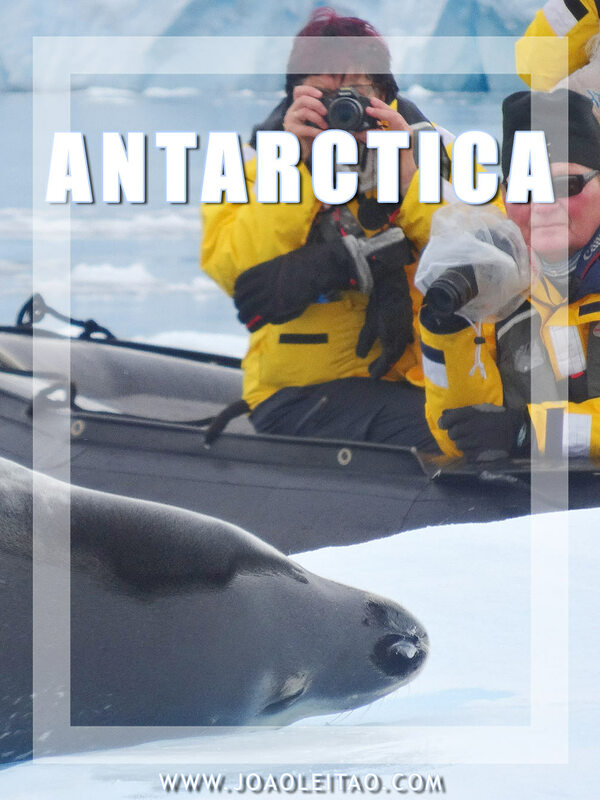 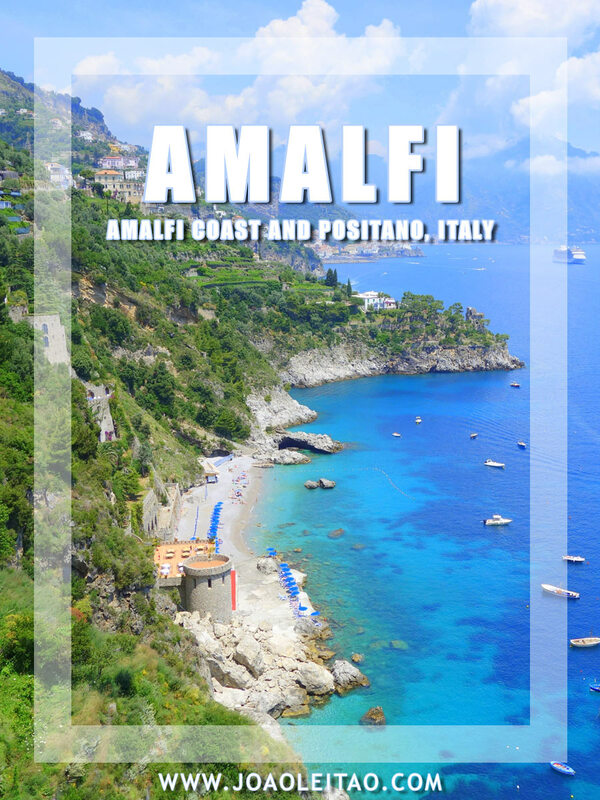 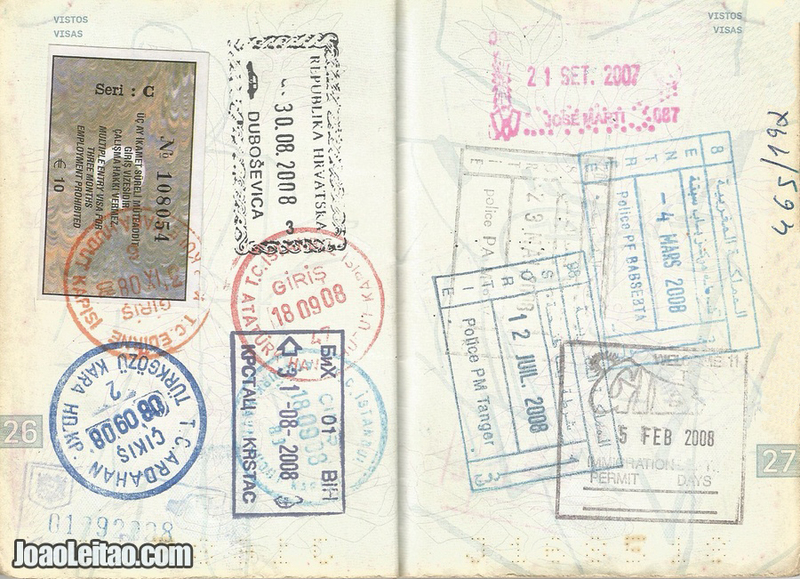 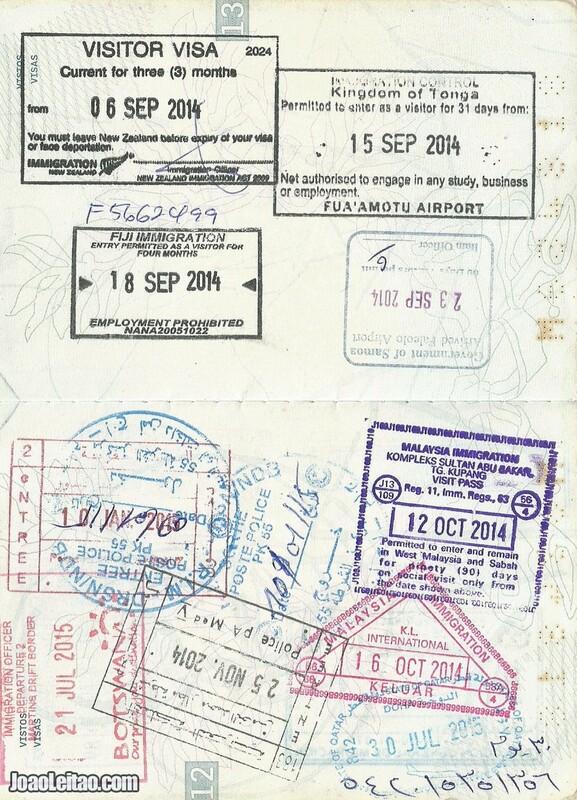 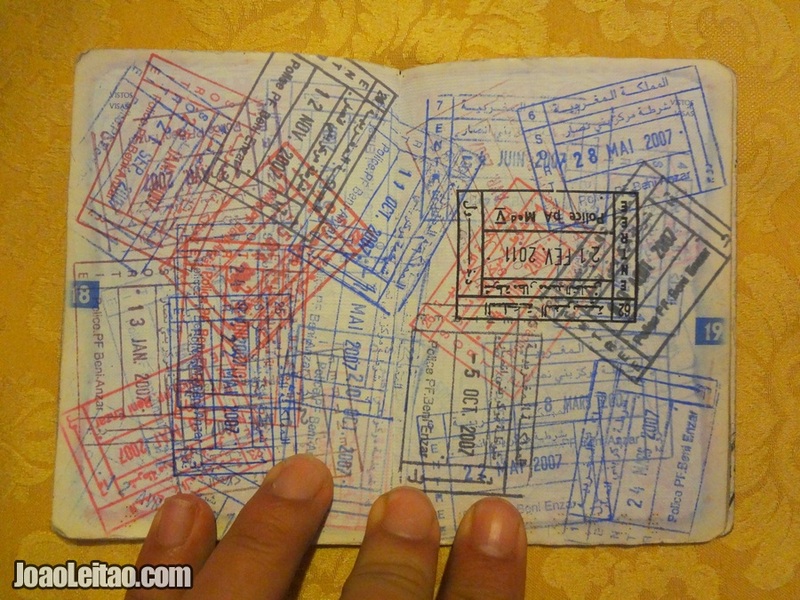 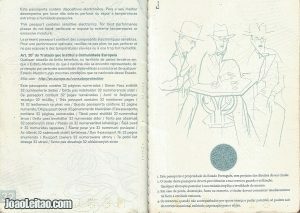 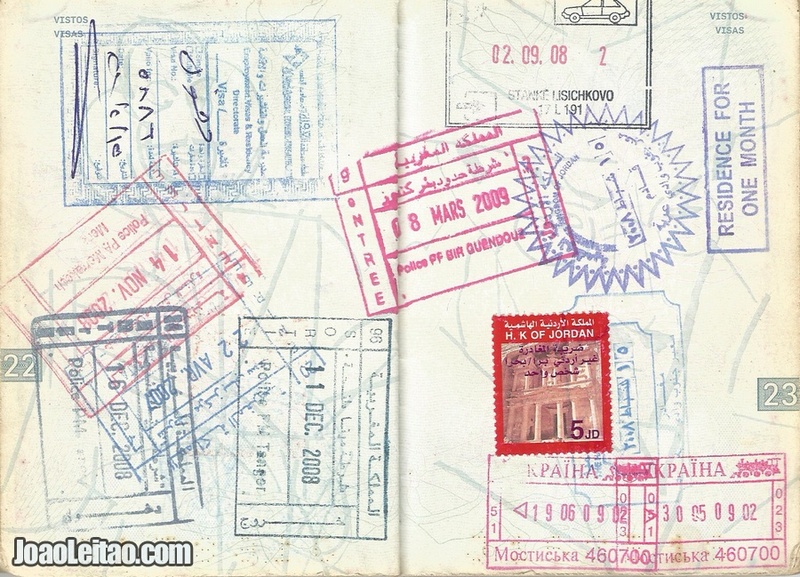 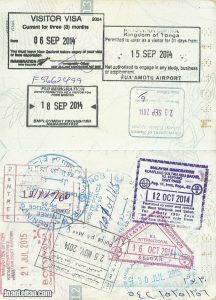 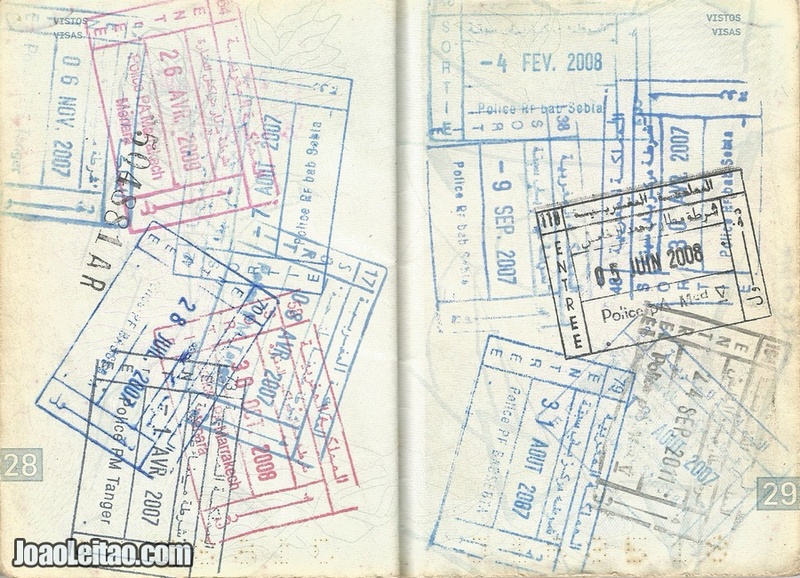 I think that even if a traveler does not travel to “collect” stamps in the passport, we all feel glad to have them. 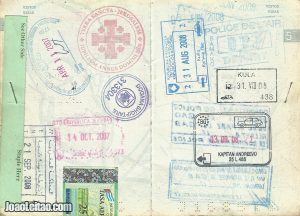 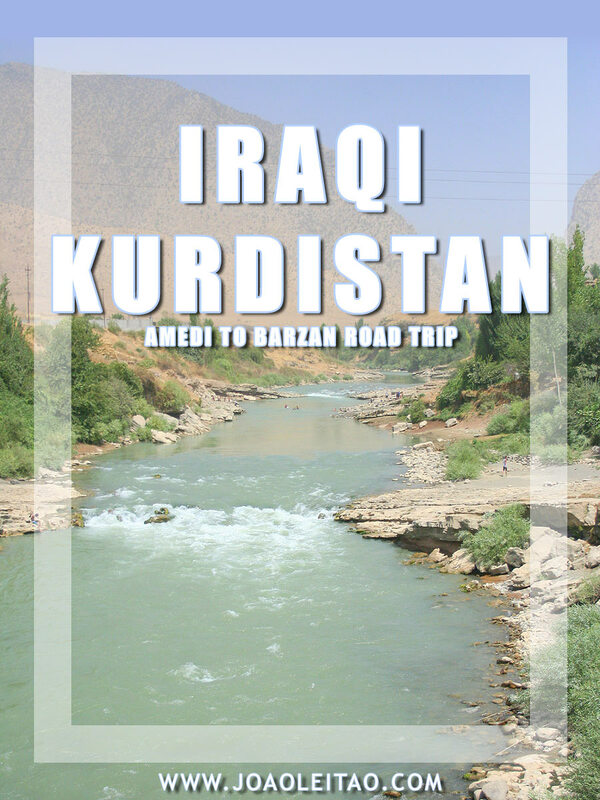 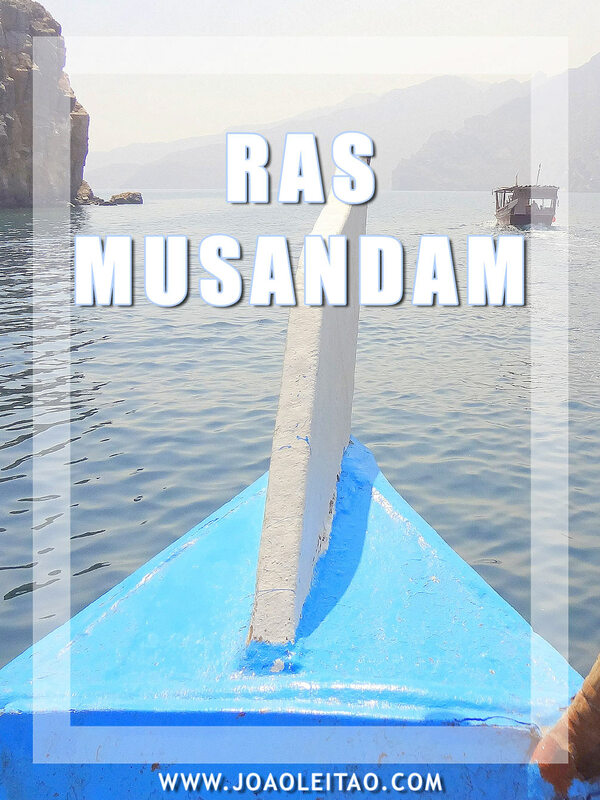 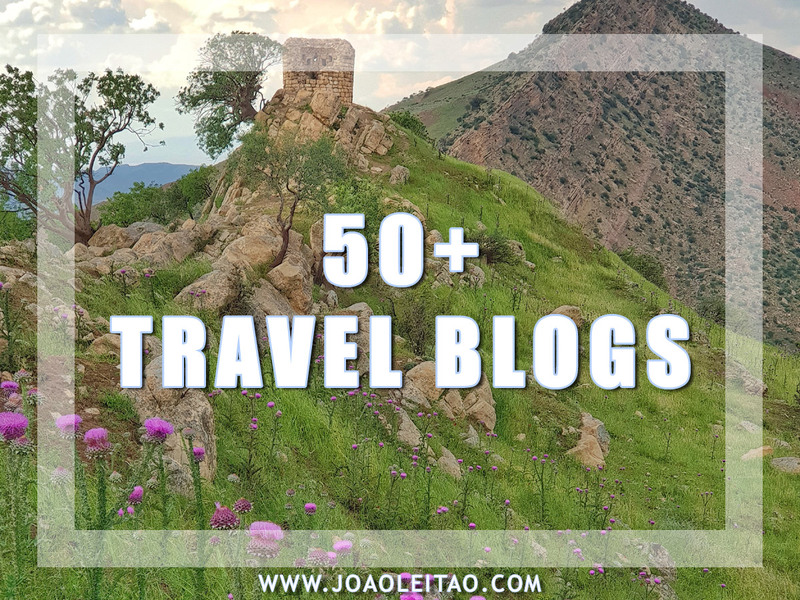 Somehow we can recall the experiences through which we passed while on the road, and the memories they might bring through our old passports. 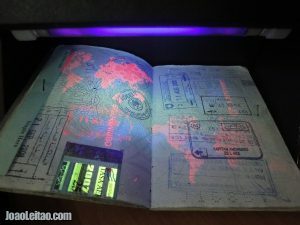 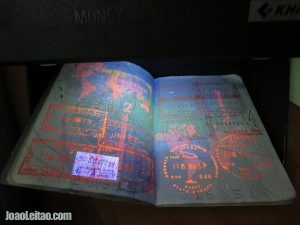 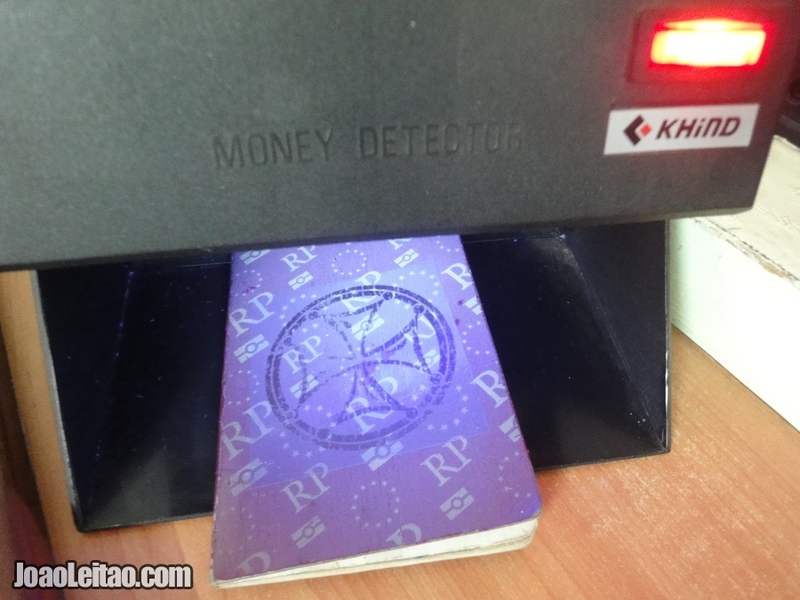 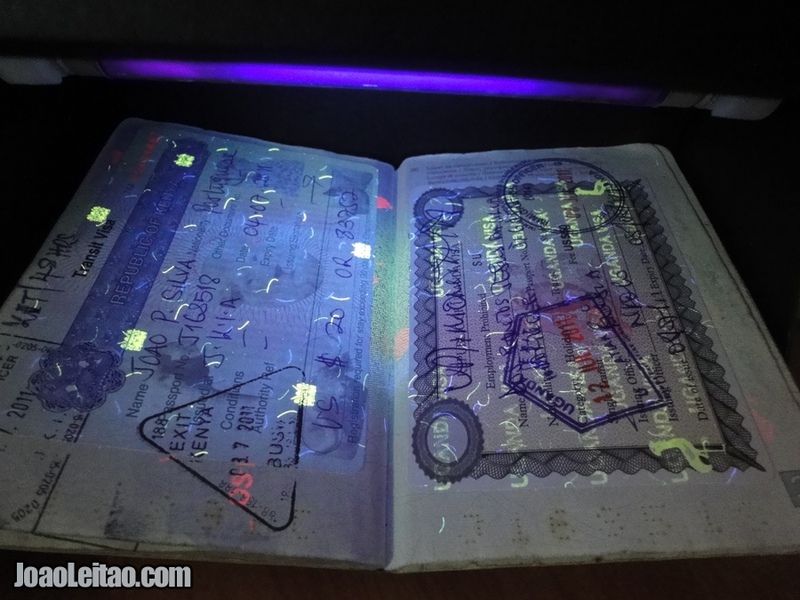 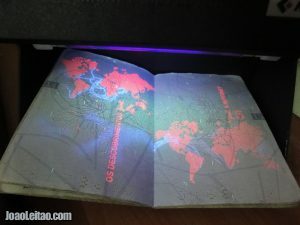 Do you know what a passport looks like under the UV Light from a counterfeit bill detector machine? 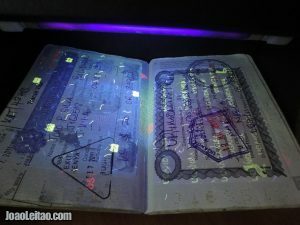 I guess this is how immigration police checks for fake passports. 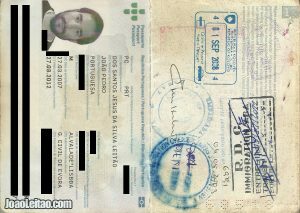 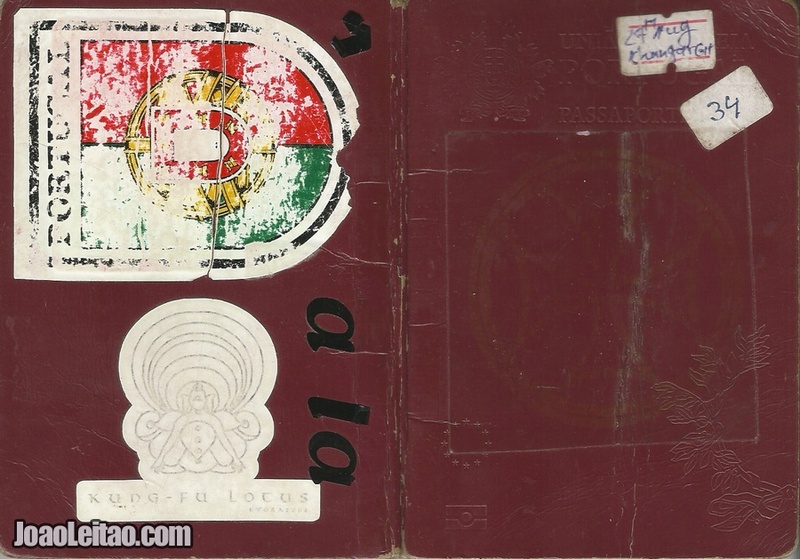 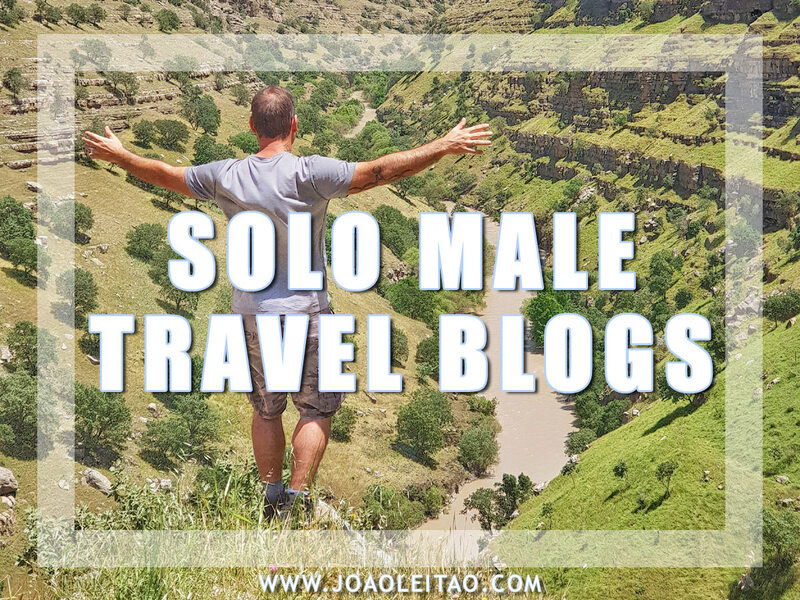 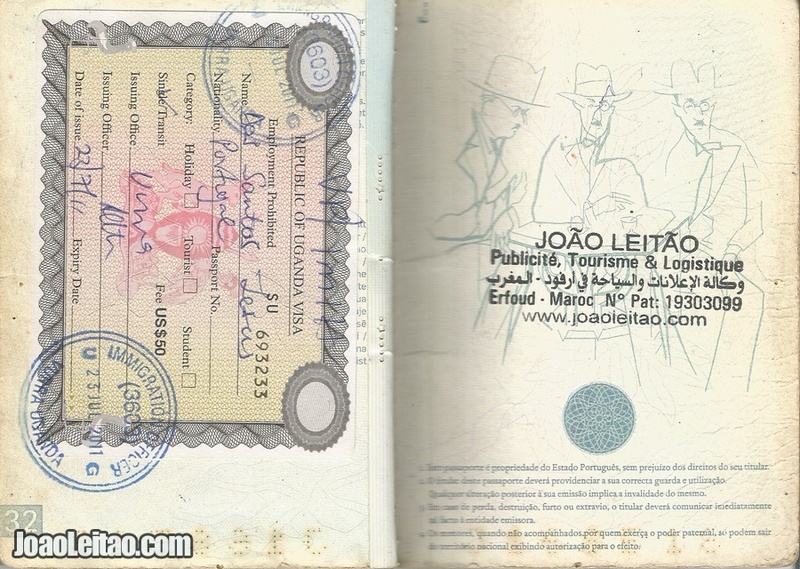 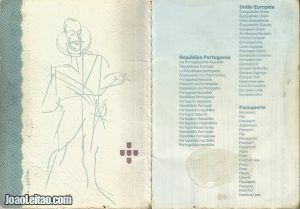 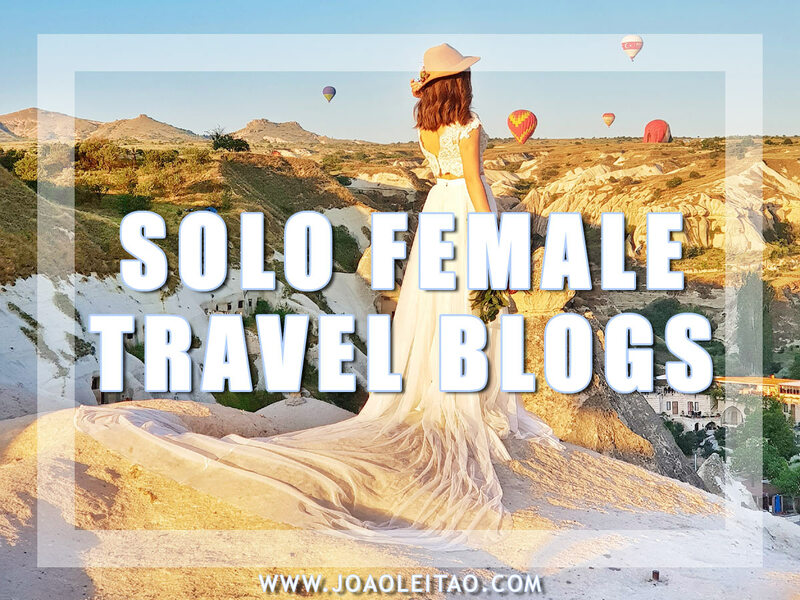 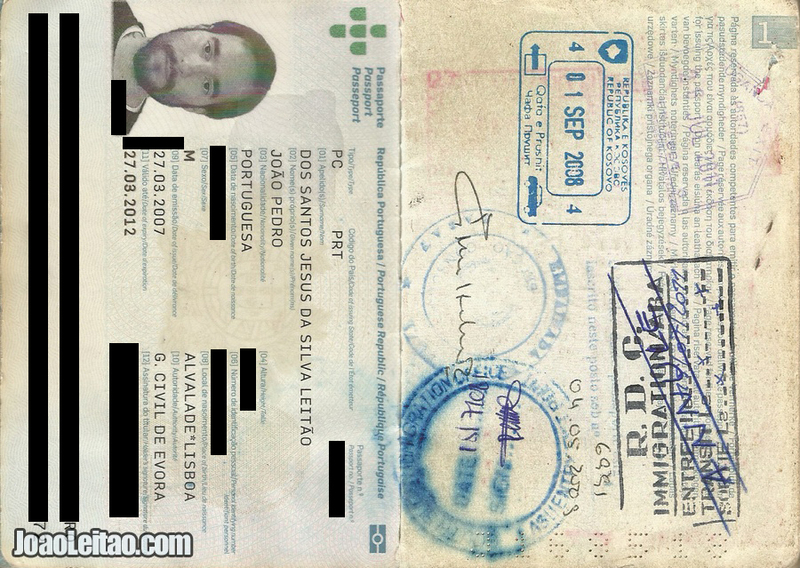 NOTE: I hold a Portuguese passport. 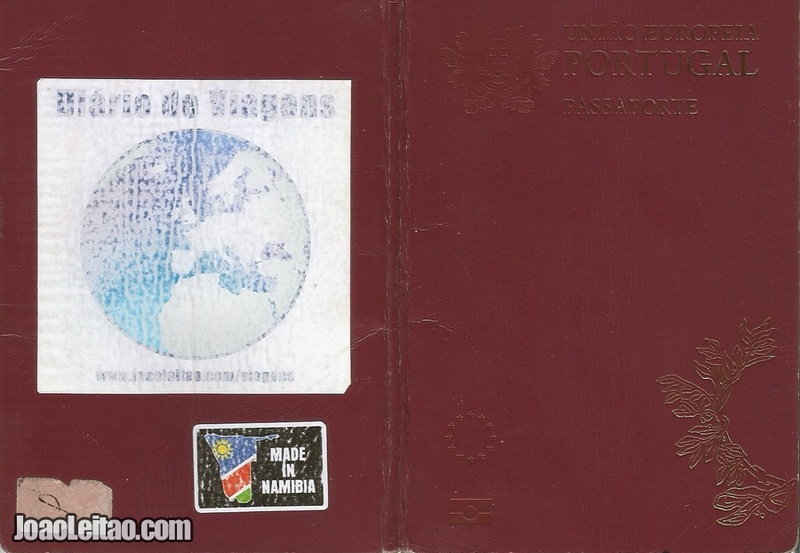 In January 2018, Portuguese citizens had visa-free or visa on arrival – VOA – access to 159 countries and territories. 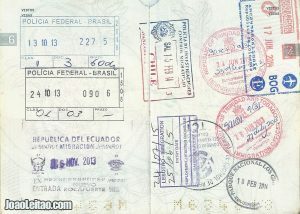 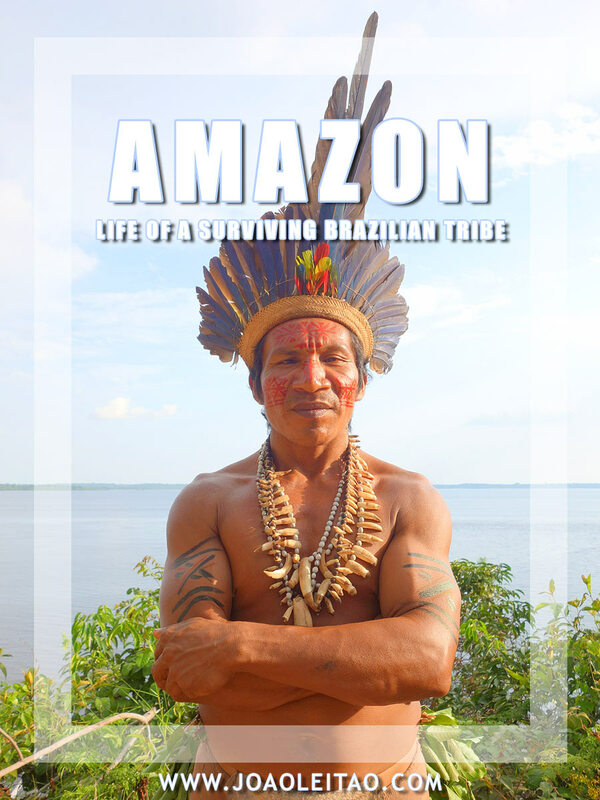 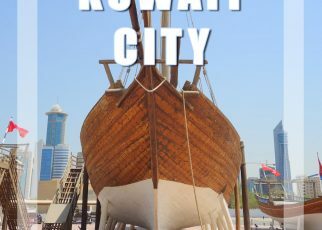 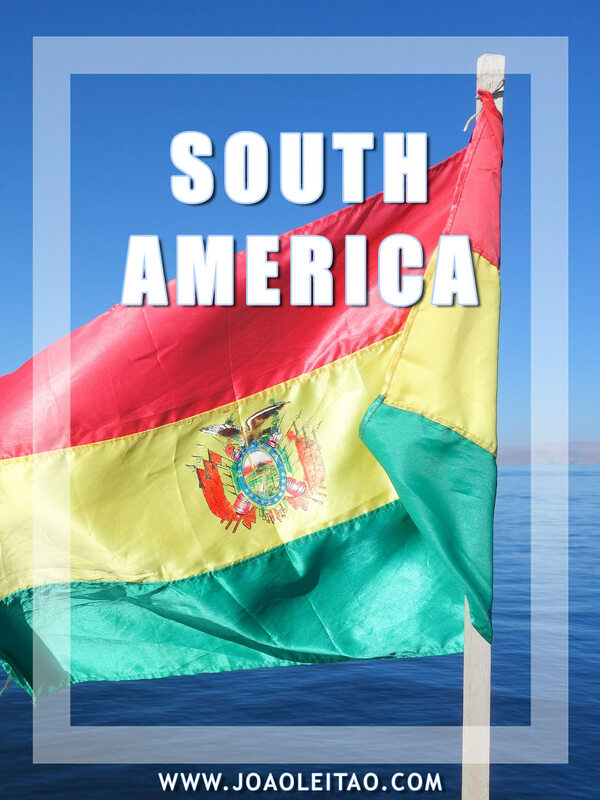 Ranking the 3rd in the world tied with Luxembourg, Netherlands, Belgium, Austria, Norway, Japan and the United Kingdom. 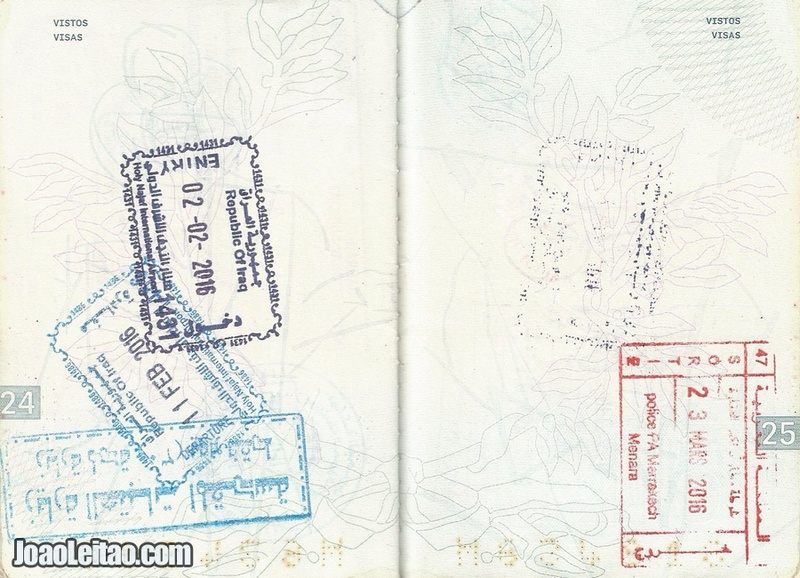 Germany ranks 1st with access to 161 countries visa-free or VOA. 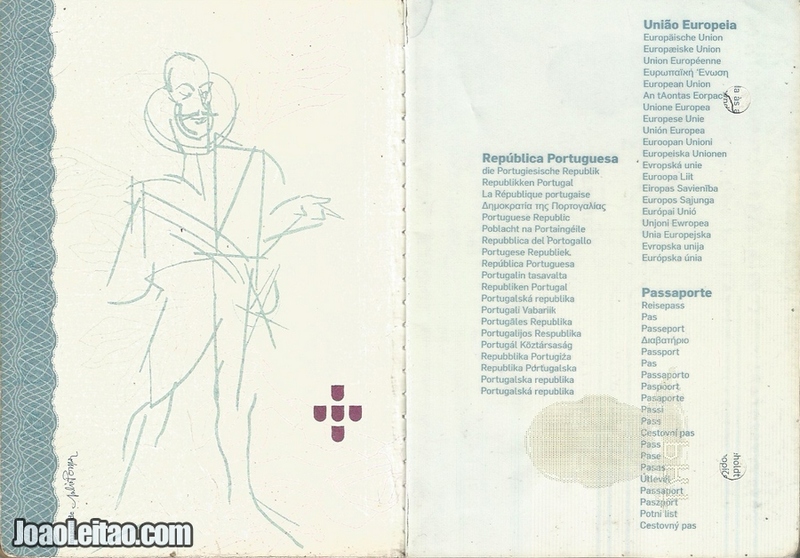 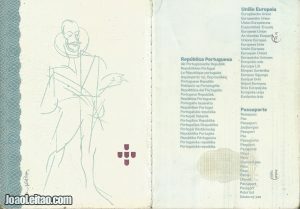 Portugal is a neutral political country in the majority of problematic world events. 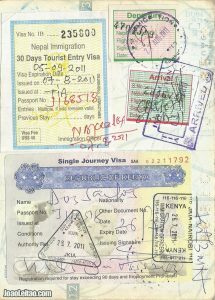 Due to that reason, apart from raking in 3rd place, this passport has no difficulty on getting all the other missing visas and at a cheaper price. 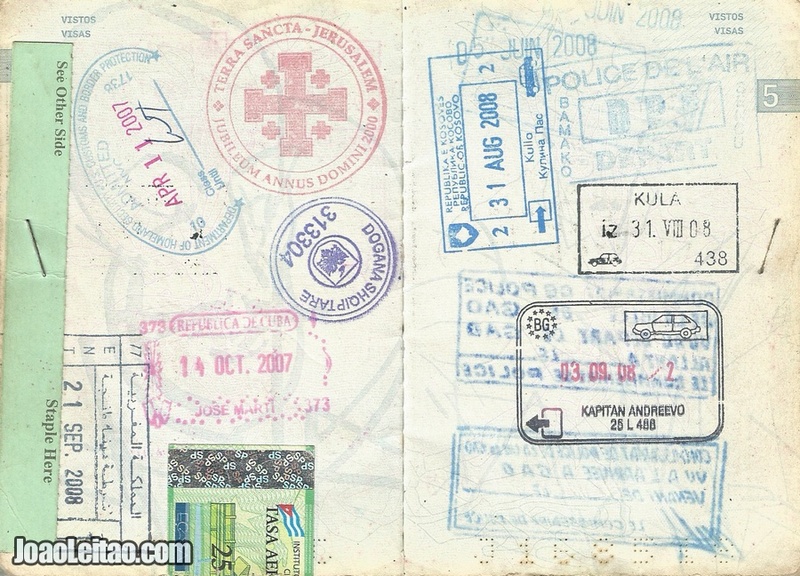 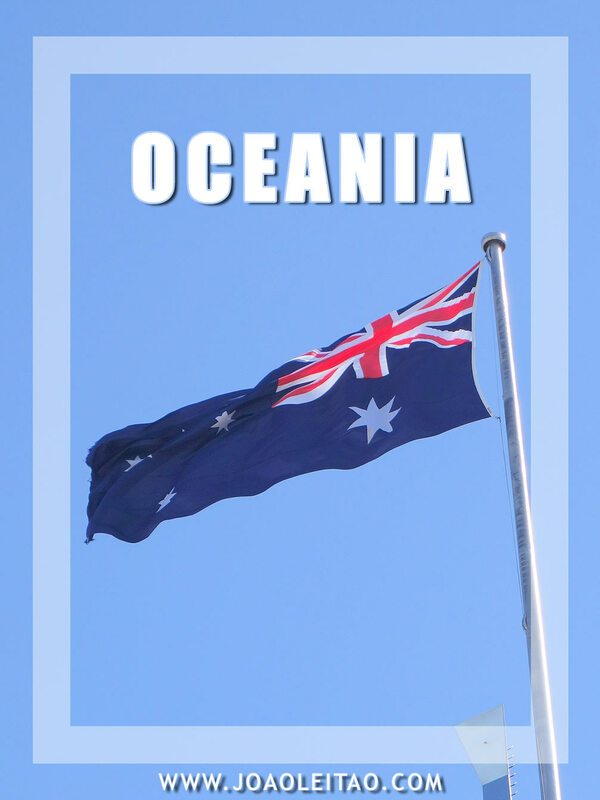 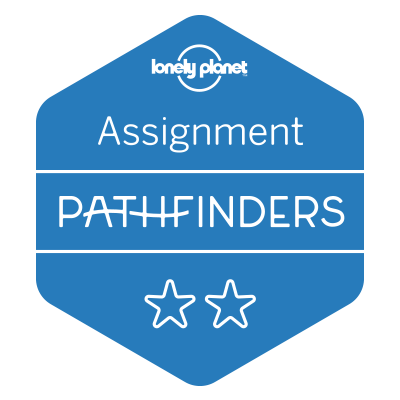 Check out the ranking of your passport at passportindex.